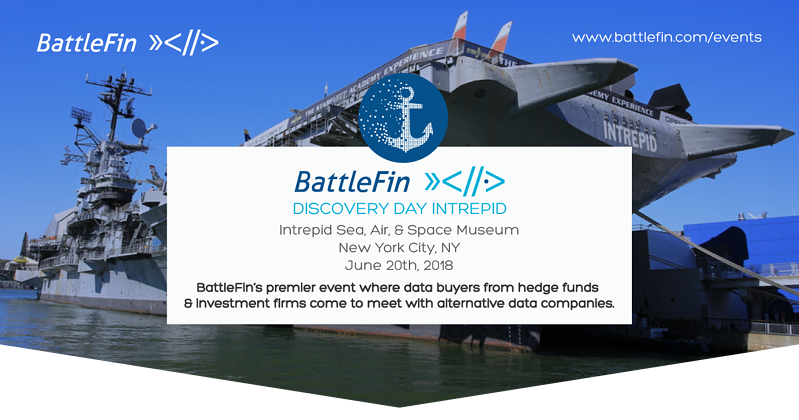 The most important event for analysts, portfolio managers and alternative data users interested in learning about the alternative data space! All levels of Fundamental, Quantamental and Quant managers welcome. 6:00 pm - 9:00 pm Cocktail Reception & Concert on Flight Deck "Super Diamond" performance. Priority Data Buyer - $2,495 per firm - Early Access to Meeting Scheduler - Data Purchasers can upgrade their registration to a Priority Registration for early access to the meeting scheduler so they are guaranteed to meet the data providers they want. (limited to the first 10 firms to purchase Priority Registration).